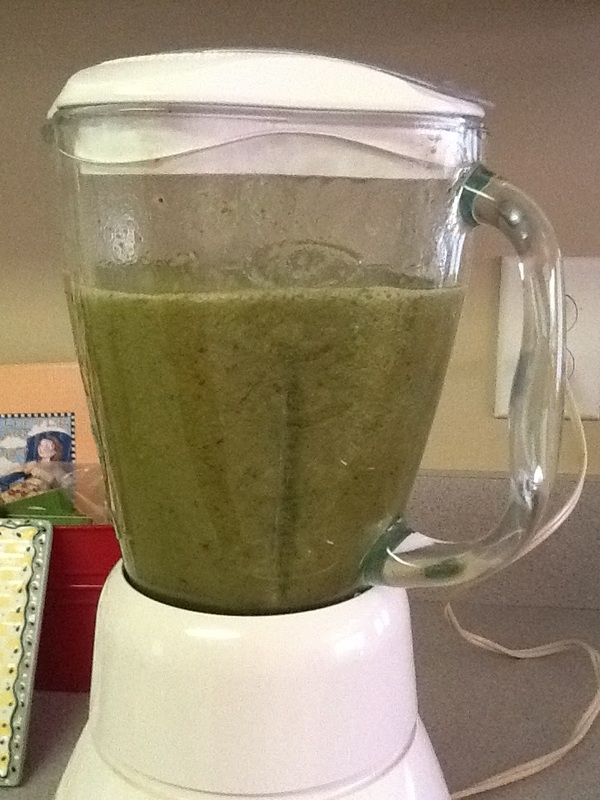 Well, I’ve been reading about these “green smoothies” and since I do like Naked Juice’s Green Machine I figured I’d give it a try making my own. 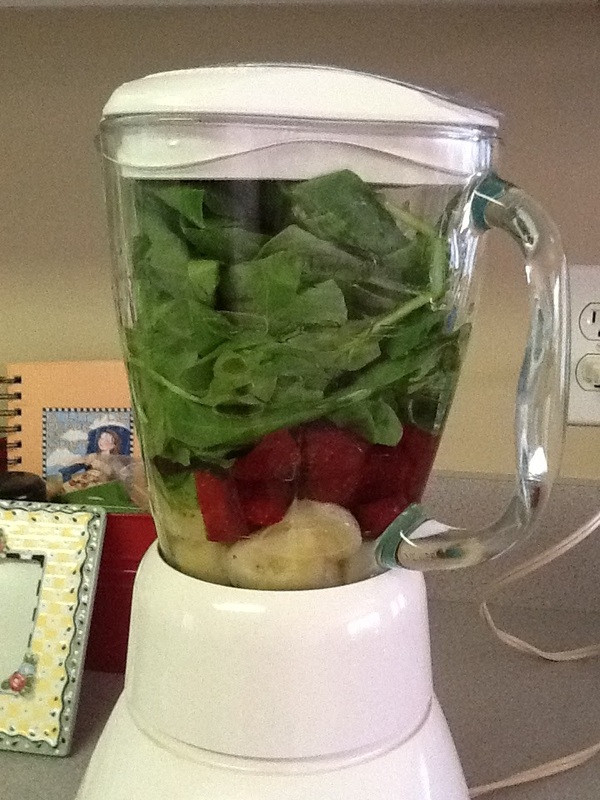 I used the recipe I found on Katherine’s blog – Real Food Runner – and…. The pureed concoction didn’t even gross me out. I served it in a jar, because Katherine made hers look so cute in a jar and I was sure it tastes better that way. And I decided to add 2 tsp. honey to whole mix. Oh, and ice. It was much, much better cold! 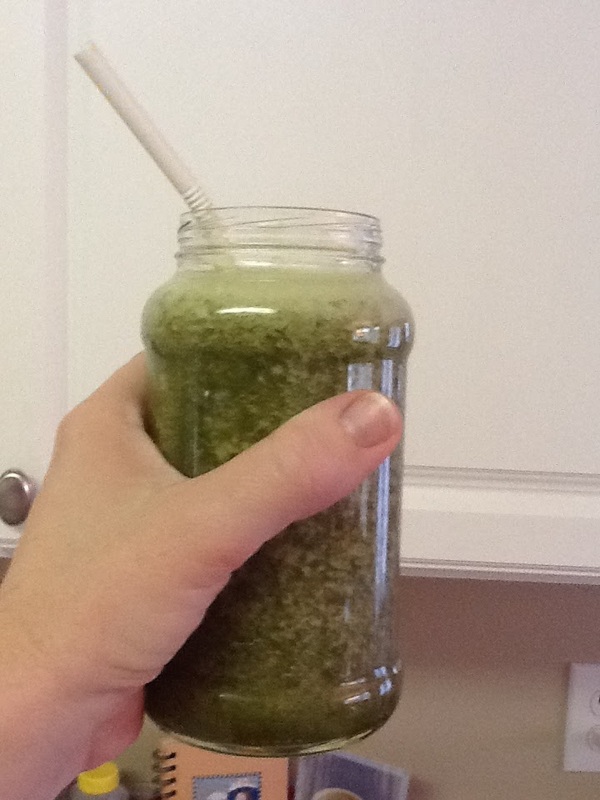 The recipe ended up making two of those jars full and I drank all of it – one for lunch and one for after-lunch snack. The honey added just enough sweet boost for my taste. I make green smoothies sometimes, but more often I do green juices. Hi Leah – So glad you loved the smoothie. 🙂 We're going to be doing another 7-day challenge starting Jan 1st!